The Arnold & Son Time Pyramid, a skeleton watch with an unusual, triangular movement layout, is now available in steel at a more accessible price. 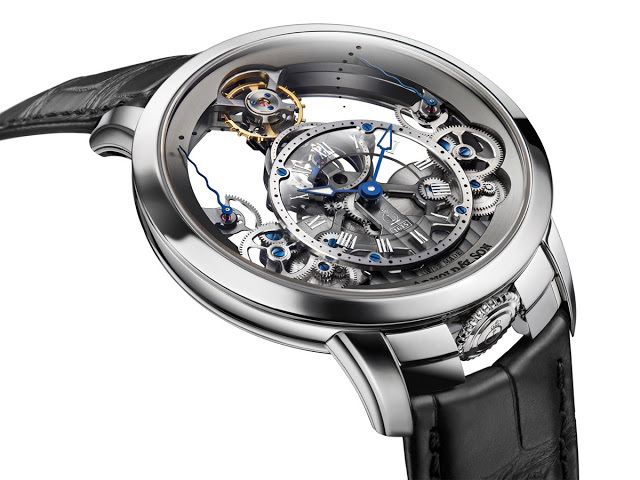 Introduced at Baselworld 2013 in rose gold, the Time Pyramid from Arnold & Son is now available in steel. 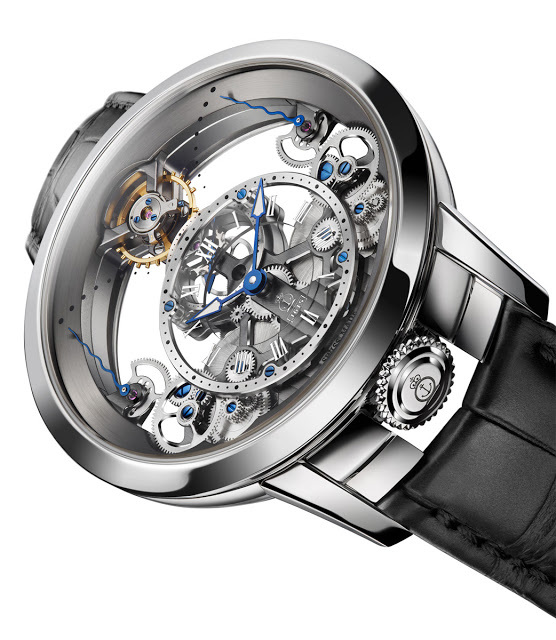 The Time Pyramid is a skeleton watch with a symmetrical movement layout running from top to bottom. At 12 o’clock sits the balance wheel, and below it the gear train. At either side of six o’clock are the twin barrels, each with its own power reserve indicator at three and nine o’clock respectively. Together the twin barrels provide a 90 hour power reserve. Both the areas at two and 11 o’clock are left unoccupied, giving the movement a triangular form with the balance wheel at its apex. 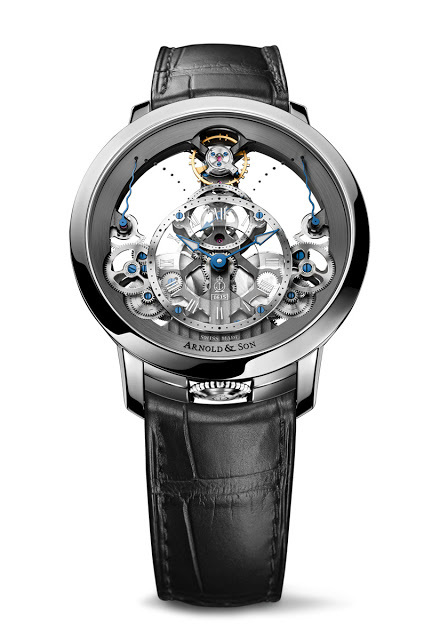 This shape is inspired by English skeleton clocks of the nineteenth century, which used similarly shaped movements, but in a standing clock form. 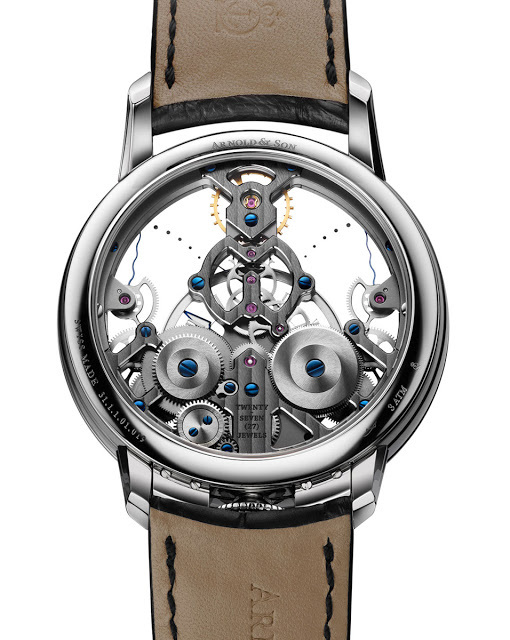 The movement is finished in a grey platinum alloy plating. 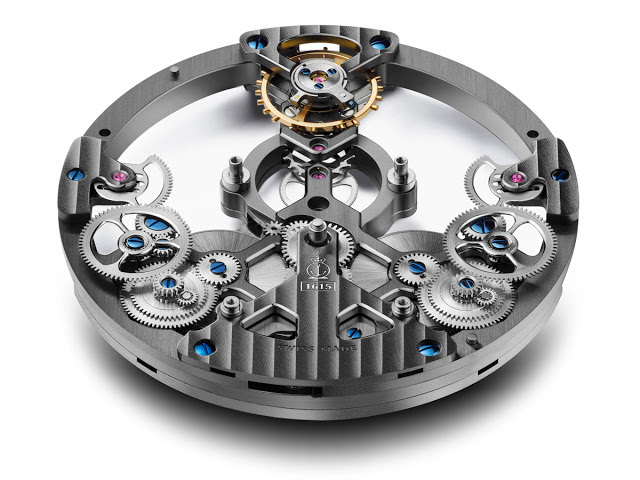 And the steel case measures 44.6 mm wide, with the crown at six o’clock. The Time Pyramid in steel retails for 27,350 Swiss francs before taxes, equivalent to about US$30,400 or 38,500 Singapore dollars. That’s a third less than the rose gold version. – SJX Follow us on Facebook, Instagram and Twitter for updates and news.